The latest Turbo Levo FSR range is the lightest range to date! Specialized have sheared away massive amounts of weight from both the motor and frame (1.2kg in total) making this Aluminium Levo lighter than the 2018 carbon S-works Levo! We already know the new Specialized 2.1 Magnesium-bodied motor is lighter (400g grams to be exact) but is also 15% smaller but yet this is more efficient and powerful. The frame has also progressed for this year! 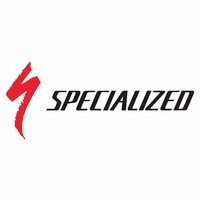 Specialized have channeled what they learned during the production of the latest Stumpjumper to create a new pursose built Turbo-Levo chassis, resulting in a stiffer, low slung frame making this the most manuverable Turbo-Levo range! All 2019 Turbo-levo bikes roll on 29" wheels and tyres but they have not compromised on clearance with this bike cleared to have the robust and grippy Butcher, GRID casing, GRIPTON® compound, 2Bliss Ready, 29x2.6" tyres offer confidence inspiring riding when the trails get steep and sketchy. Out on the trail, you immediately notice that weight reduction—it’s easy to get the Levo airborne and to flick the bike around. We also optimized weight distribution, giving the bike a lower center of gravity and a nimble-yet-planted feel. The all-new Turbo Levo is the smartest and best-connected e-MTB to date. In the center of the top tube, you’ll find our sleek, new Turbo Connect Unit that connects the bike, via ANT+ and Bluetooth®, to both the outside world and our Mission Control App. Speaking of which, the new Mission Control App now is even simpler to use thanks to a new, more intuitive user Interface. It also offers new functionality like our Shuttle Mode feature that takes the sting out of long climbs by giving you maximum motor support with less required effort at the pedals. It’s perfect for the days where you want to ditch the lift and get up on your own.